A quick post to let you all know that the Minnesota DNR is once again seeking your feedback on expanding OHM trails. This time it is adding another mile of trail to huntersville. See the press release with contact information here. Please take a minute to drop them an email, let them know you are an OHM rider, let them know you spend time and money in the areas of MN where OHM trails are built, and finally let them know you approve of the expansion of the Huntersville trail system. Thank you to all who continue to support our trails! I came across a new outfitter in the Saint Paul area today. I was impressed with their selection, prices, location, and overall atmosphere. They have an online presence at https://www.traditioncreek.com and their retail location is at 933 7th Street West in Saint Paul right near the old Landmark/Schmidt brewery. They had their grand opening this week. Really a fun store to browse through. Its always good to support local retailers, so next time you need a tent, sleeping bag, stove, or other gear, look these guys up. I think your experience will be a lot more satisfying than the big box stores. I picked up a dried spaghetti pack and some lightweight tent stakes for my trip on the TMAT on the north shore next week. I am looking for a reason to go back soon! 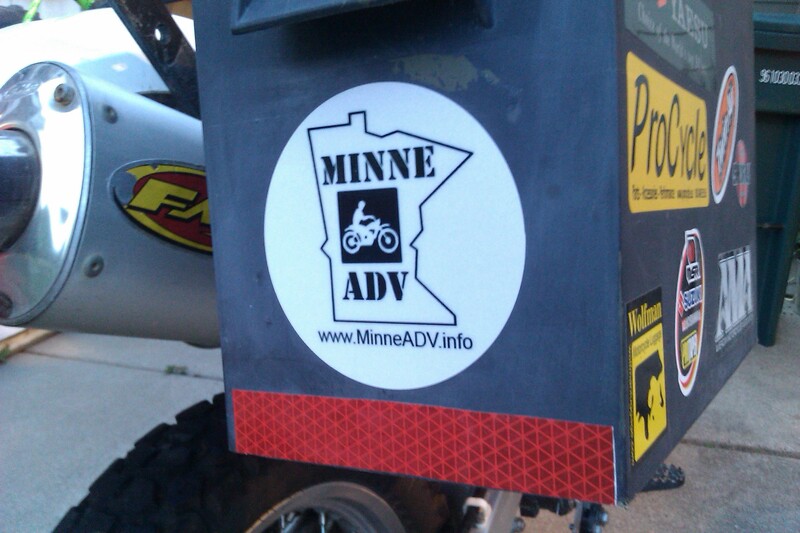 You are currently browsing the Minnesota Adventure Riders blog archives for June, 2012.